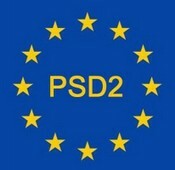 One of the new rules introduced by the PSD2 is mandatory transaction monitoring. As defined in the Regulatory Technical Standards (RTS) on Strong Customer Authentication (SCA) and Common and Secure Communication (CSC), transaction monitoring will become mandatory for all payment services providers. 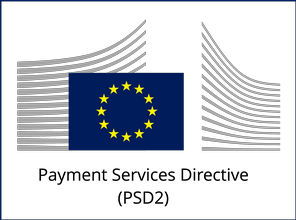 One of the new rules introduced by the PSD2 is mandatory transaction monitoring. As defined in the Regulatory Technical Standards (RTS) on Strong Customer Authentication (SCA) and Common and Secure Communication (CSC), transaction monitoring will become mandatory for all payment services providers (PSPs). Under certain conditions and to allow more friendly operations, the RTS defines cases where specific transactions may be exempted from SCA, provided that proper transaction monitoring is in place and various conditions are met. Transaction Fraud Monitoring is a system designed to identify and prevent fraud. It is controlled and operated by Fraud Analysts. In the past Fraud Monitoring systems were dedicated to a specific transaction channel like transactions from credit cards on eft/pos or e-Commerce sites. As the operations and technology in Banks was siloed so it was Fraud Monitoring. Today, Fraud Motoring systems trend to be more complex and cover the majority if not all the electronic transaction channels. Contemporary Fraud Motoring systems automate processes, work proactively but have to remain agile and easy to use. Fraud Monitoring systems is not a single tool, but rather a solution integrating different tools and technology that intended to work together. In the context of the PSD2/RTS and according to Article 2 of the RTS, the term “transaction monitoring” refers to mandatory mechanisms that enable payment service providers (PSPs) to detect and prevent unauthorized or fraudulent payment transactions while, as per Article 97 of PSD2, also applying strong customer authentication. This means that real time mechanisms combining end point assessment and transaction history shall be used during authorization processes to guarantee that the consumer is the legitimate owner of the credentials. The transaction monitoring mechanisms with the use of multi-layered fraud prevention services, taking into account multiple factors to assess the overall risk associated with a particular transaction, will allow PSPs to assess online banking operation risks in real-time and integrated with the transactional risk score will allow PSPs to make the right choice to minimize fraud, to allow a transaction, to block a transaction or to challenge the customer with a step-up authentication.